Protect Rock Valley College's CLR Program, Write a Letter! Protect Rock Valley College's CLR Program – write the Rockford Register Star and Rock River Times! I serve as a Rock Valley College Board Trustee, and I have been contacted by residents concerned about possible changes to the the location of and courses offered at Rock Valley College's CLR program. Learn more about the CLR program here: http://www.rockvalleycollege.edu/Community/CLR/index.cfm. You can help CLR by writing letters to the editor, and encouraging your friends to do the same. I encourage brief, 200 words of less, letters of support to the Rockford Register Star and Rock River Times. The Rockford Register Star encourages its readers to share their opinions through letters to the editor. Include your name, street address (only the city or township is printed) and a daytime phone number (used only for verification). Letters longer than 200 words will be edited or returned to the writer. Have a question about letters? E-mail us at opinions@rrstar.com or call (815) 987-1359. 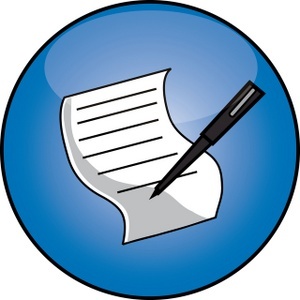 The Rock River Times welcomes your letters and comments. However, to be fair to all writers, we ask that all letters be fewer than 200 words, no more than one letter per month be sent from any one writer, and that letters be signed and include a confirmation phone number and hometown. We do not print libelous or illegible letters. Send to: The Rock River Times, 128 N. Church St., Rockford, IL 61101; or contact@rockrivertimes.com. Thank you for your efforts to help protect RVC's CLR program.